Designed for both people familiar with the weighing industry and those just beginning to learn about weights and measures, this guide is easy to follow. The aim is to help you determine which option will work best for your business. The International Convention for the Safety of Life at Sea (SOLAS) is an international maritime safety treaty from the International Maritime Organization (IMO), the maritime arm of the United Nations. It regulates safety of life at sea, which includes any ocean-going vessels. The IMO, in 2015, issued guidelines regarding verified weight of all containers shipped at sea. 2. Why were the new guidelines created? Declaration of shipping weights has been required for a long time. Verification of shipping weights has not. Verification is now mandatory because misdeclared weights have caused unsafe conditions at sea for vessels and crew. Image Credit: Guest writer. Cargo Ship Spills Oil on New Zealand Reef. 2011. aquanerd.com. Blog. October 13, 2011. Anyone listed on the bill of lading as the shipper will ultimately be responsible for providing the verified gross weight. That may be the shipper of original origin, or it can be a non-vessel operating common carrier (NVOCC) or freight forwarder. Any business within the logistics chain that declares itself the shipper is essentially the responsible party. 4. Who enforces the new guidelines? In general, the enforcement is the responsibility of the maritime organization of each country beginning July 1, 2016. Although enforcement begins July 1, implementation should ideally begin by May to avoid disruptions and fines, as some containers get transshipped after July 1 and will depart from their original port of origin as early as May. If non-compliant, the containers shall not be loaded on the vessel, according to the rule. Both the terminal and the shipper can be held responsible. 5. How do you comply? Two methods are allowed. With method 1, you must weigh the entire container, contents and packing. Method 2 requires you to weigh contents separately, adding the packing material and the container tare weight to compute the declared weight. 6. 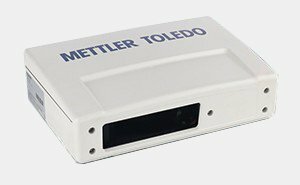 How can METTLER TOLEDO help? METTLER TOLEDO is the world's largest manufacturer of weighing equipment and your trusted partner for compliance with the new SOLAS convention guidelines. Our long-lasting scales and systems are legal-for-trade everywhere you weigh and are ready to deploy immediately anywhere along the logistics chain. 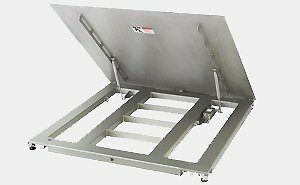 As the premier weighing equipment and service provider, we can help meet your exact needs. 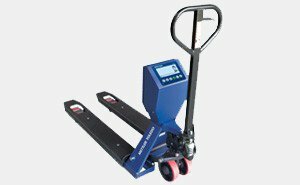 Whether you simply want to ensure you have the right equipment to comply with the new regulations or you want to be able to analyze all your weighing data easily, we can help. METTLER TOLEDO offers solutions for every step of your process, helping you comply with the new SOLAS regulations, from production to shipping. Regardless of your place in the supply chain, you will likely be impacted by the new regulations. Following are some considerations based on your role. Will you turn every shipment away that does not have a verified gross-mass weight? Are you interested in providing verified gross-mass (VGM) weights as a service for an additional source of revenue? Are you consolidating less than container load shipments which will require you to be named as the shipper? Does it make sense for you to provide the weighing service for your customers as the freight moves through your portion of the supply chain? 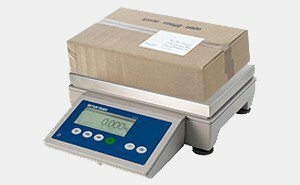 What is the aggregate cost of purchasing the weighing service from others versus revenue generation as a service provided? Are you willing to pay the extra fees for each container to be verified by someone else or do you want your verified weights coming from a known and trusted source? Can you afford to have a container held at the port because the verified weight provided to you by an outside source was incorrect? If you provide the service for yourself, can you use the data elsewhere or in your operational metrics? 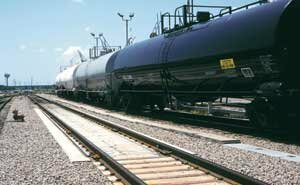 Can you provide weights for other manufacturers/shippers as a service for quicker ROI on the equipment? With routine scale calibration and adjustment, you can measure safely, ensure compliance and avoid costs of inaccurate measurements. Achieve and maintain compliance through consistent procedures and adhere to local and global regulations and standards. 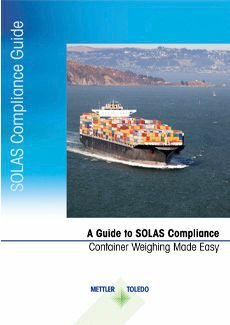 Is your business prepared for the new SOLAS guidelines to take effect? Request a consultation to discuss what options would fit your application best.